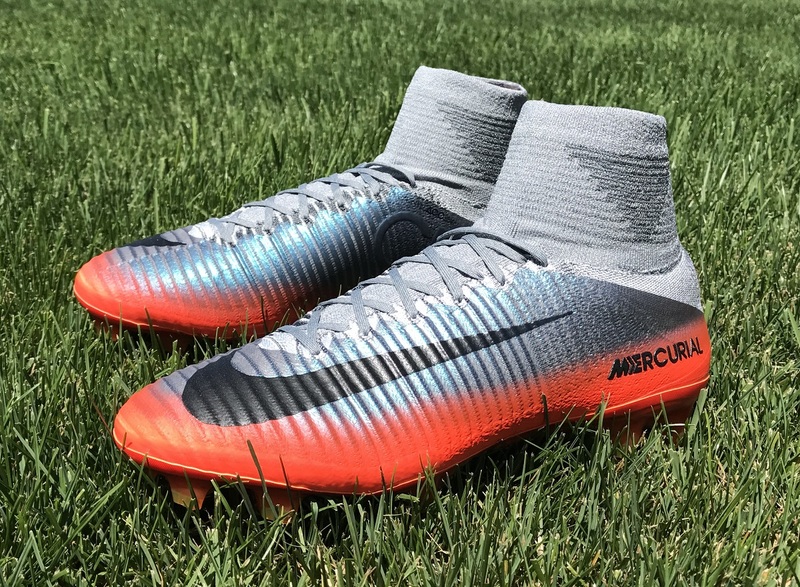 Home / Latest / CR7 Forged For Greatness, and The Superfly That Proved It! 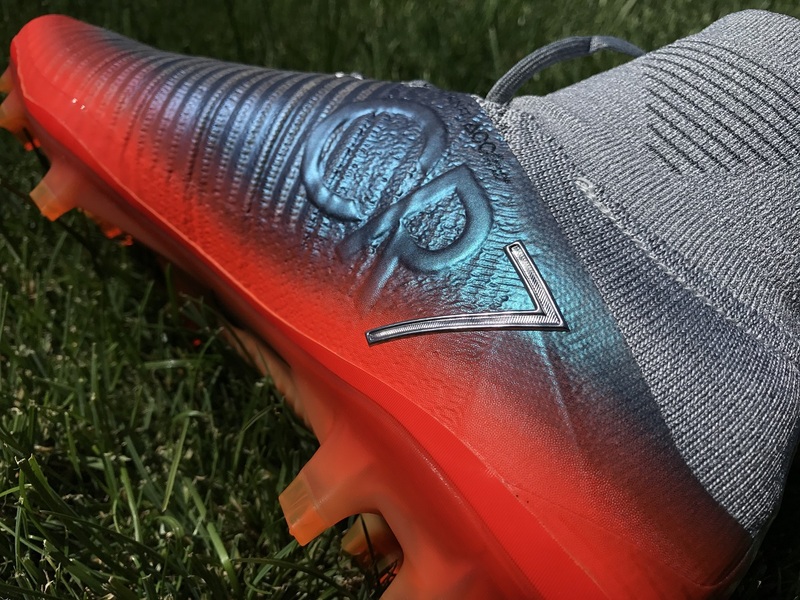 Given his Champions League final performance at the weekend, it seems like a really good time to profile Cristiano Ronaldo’s latest signature boot. Chapter 4 in the CR7 storyline comes with the tag “Forged For Greatness” and celebrates the transformation years in Ronaldo’s career. Visually, it features a dynamic transition fade from Molten Red around the lip to Metallic Silver with shades of blue mixed in on top. 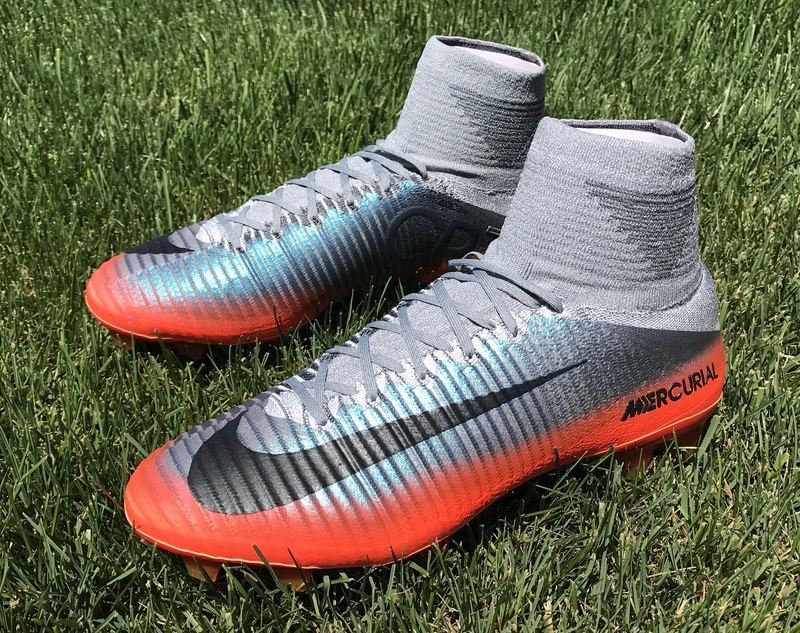 Of all 4 boots released in the Nike Mercurial Superfly “Chapter” series to date, this one has the most notable visual appearance. The official colorway is listed as Cool Grey/Wolf Grey/Total Crimson. But there is so much more to the design, with an iridescent glow adding a different look depending on the angle you take while looking at the upper. It is a wild effect that offers hues of light blue and violet across the primary metallic gleam. 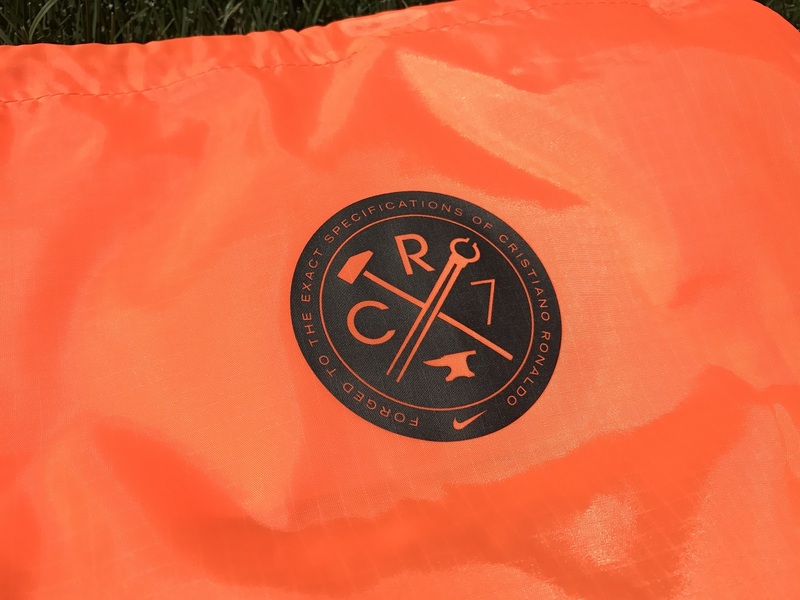 On the lateral side, Nike also add a signature CR7 logo, with the 7 offering the most specific visual effect in a silver color. On the heel, a light VII is added to signify Ronaldo’s signature #7. It all comes together in spectacular fashion, like as if a player in silver boots has walked across hot coals and brought serious heat to the bottom of the boot. Find the “Chapter 4: Forged For Greatness Superfly” at soccer.com. 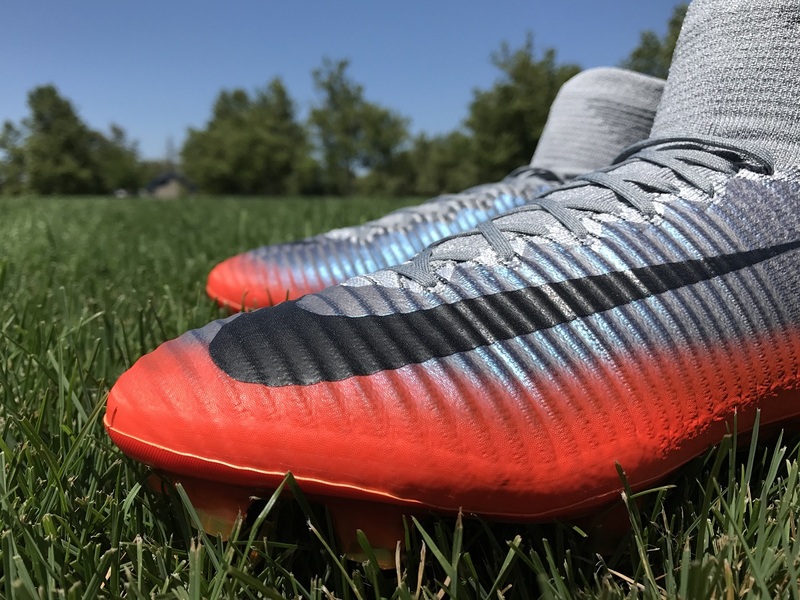 As far as performance on the fifth generation Superfly goes, Nike leveraged data-informed texture mapping to create a Flyknit “speed rib” 3D texture upper. The raised surface provides added friction between the surface of your foot and the ball. These ribs range in thickness from 1 millimeter to 2.5 millimeters, giving you an idea of how much definition runs through the forefoot. On this edition, they have integrated some white knit to create a more dynamic effect across the side of the boot, with a snow cap design along the front of the upper. 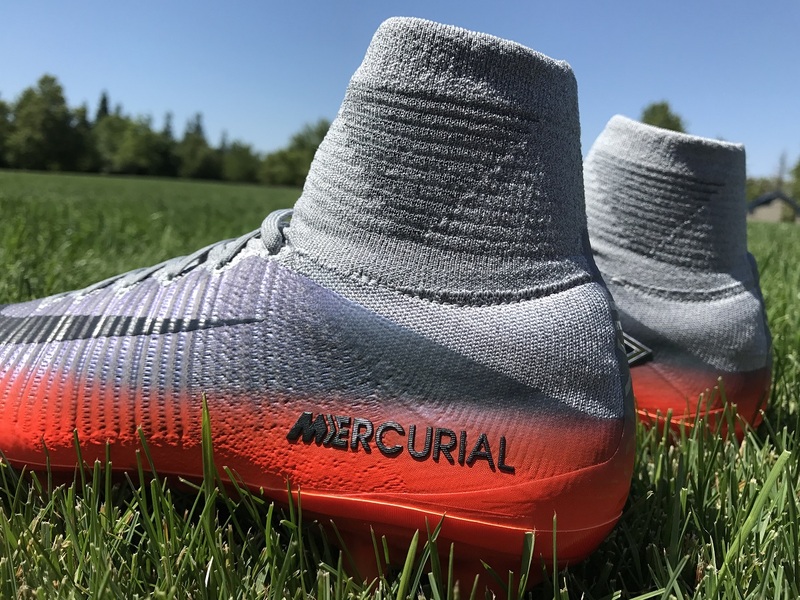 Size wise, they will more naturally fit players with a narrow foot, that has been a common feature of the Mercurial series. But the inclusion of a Flyknit upper means they have some give and can actually accommodate a wider fit. Let me clarify some more here by stating that they don’t sit alongside the top wide fitting market options; they are simply the most accommodating Superfly release we have seen to date. Is it just me, or has Ronaldo’s game stepped up a complete gear since Nike decided to tell his story through boots??? Chapter 1 was released in October 2015, and since that time he has won back to back Champions Leagues, a Euro Championship, the La Liga title and a FIFA World Club cup. That is a seriously impressive haul in a short amount of time. Plus he is the current Ballon d’Or title. Given his performance on Saturday, with 2 goals and a downright nasty display of strength and talent, this is a boot that will definitely exist alongside one of his most inspired performances to date. Forged For Greatness by name, and he lived up to the billing! Find the entire Chapter 4 series available at soccer.com.